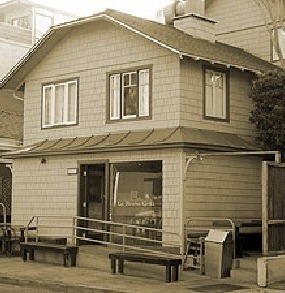 In the summer of 1999, we discovered a charming old cottage on Mermaid Street in downtown Laguna Beach, and we decided it was the perfect place to realize our dream of opening our own eatery. Thus was founded La Sirena Grill, named for the street where the dream was born. Our concept was simple: combine the quality of a fine food restaurant with the speed of a fast-food eatery-all in a casual, rustic atmosphere. Contemporary-Mexican in flavor, all dishes had to be fresh, healthy, and made from scratch. Our company has also made a commitment to support sustainable agriculture. Our restaurants serve local, sustainable, and organic products. We believe it is important to support sustainable farms and ranches that use traditional methods to preserve the integrity of our land and water. The animals are treated humanely and fed all-natural vegetarian diets without the use of hormones or antibiotics. Our commitment to sustainability is not limited to just food. We use earth-friendly to-go packaging, which include sugar, corn, and potato based products. Most items are compostable or biodegradable, and our menus are printed on 100% recycled paper with soy-based inks. We are thankful for our loyal customer base and the amazing support we’ve received since first opening our doors. Thank you for your continued support. We believe that together, we can make a difference to preserve our Earth for our children.